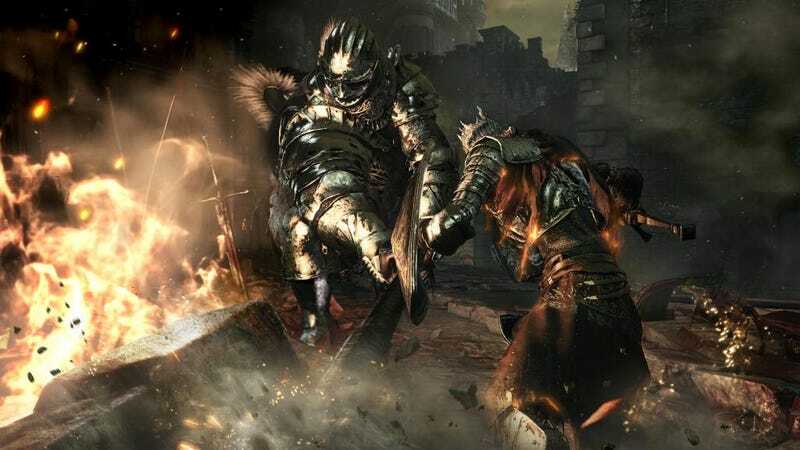 When Bandai Namco announced Dark Souls 3, it called the sequel the “final episode,” suggesting Dark Souls was coming to an end. At E3, however, the developers said it wasn’t true. Though Dark Souls 3 isn’t coming until early 2016, a brief gameplay snippet was shown to press at E3. Additionally, series creator Hidetaki Miyazaki participated in a roundtable interview, where he was quickly asked about the “final episode” tag and the possible end of Dark Souls. Dark Souls 3 was apparently the last game From Software started development on before Miyazaki became studio president in 2014. He was coy about what the future holds, but pointed towards the other settings and genres From Software has worked on in the past. In recent years, they’ve only been known for Souls games and, most recently, Bloodborne, which is basically a Souls game. It makes sense From Software doesn’t want to give up its popular series. That said, there have now been three games in not-so-many years (Dark Souls released in 2011) with similar mechanics and aesthetics. After bringing the story to a conclusion in Dark Souls 3, it might be a good time for a refresh, even if that means bringing the Dark Souls name along for the ride.